He was just 16, playing infield for his town’s youth all-star team, when he first noticed the problem. An eager Dave Lehnis waited for the coach to hit him a grounder at practice. And the ball whizzed past him. 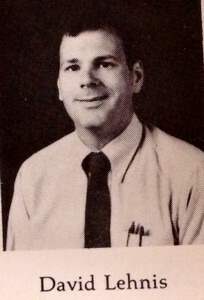 Dave Lehnis, shown here in a yearbook photo from 1986, has been the principal at Timberline High School after 15 years. That same summer, a pitcher drilled Lehnis in the shoulder when he was at bat. “And I didn’t even see it,” he said. Eventually, an optometrist would tell Lehnis he had retinitis pigmentosa, a degeneration of the retina. He had blind spots, aggravated by bright sunlight. But even with his vision problems, what Lehnis did as a kid will tell you a lot about him. Rather than quit sports, rather than hang up his baseball glove, feeling sorry for himself, he practiced even harder in sports. He’d go on to start on his high school teams and play basketball during college. With that same optimism, that same the-cup-is-half-full outlook on life, Lehnis went into education. 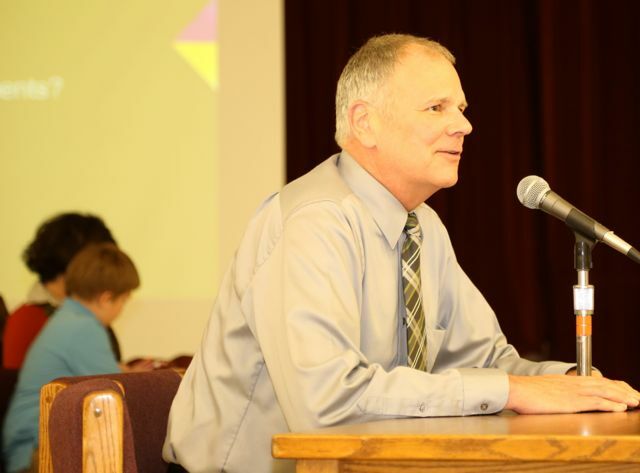 At the end of June, Lehnis’ 15-year run as principal at Timberline High School will end. He’s going to retire. In 1984, Lehnis, who grew up in the Midwest, became a social studies teacher at Timberline. Then in 1994, he became the vice principal at River Ridge High School for three years, beginning his 20 years as an administrator. Sometimes you can tell more about a person based on what they don’t say. And for those who know and have worked with Lehnis, that means talking about the positive things, not the negative. He’s not a moaner and a groaner, complaining. Dave Lehnis will be remembered for keeping a friendly approach with staff and parents. Paul Dean, who will replace Lehnis as Timberline’s principal, said the emphasis has always been about what they can do, not what they can’t. 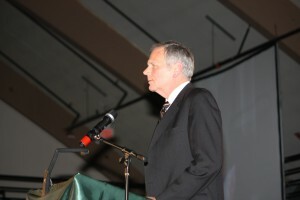 Lehnis, as a principal, kept a friendly approach with his staff and with the parents. Lehnis could laugh and tell a joke. But he also knew when to roll up his sleeves and get serious. “He’s got that good balance that makes people feel good yet pushes them,” Dean said. 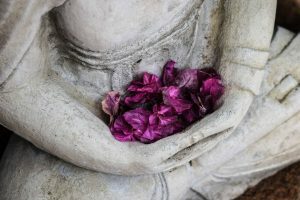 In 1979, when Lehnis was 30, he and his wife, Jane, decided they wanted to move out west, leaving his teaching job in his hometown of Danville, Ill. They talked about opening a restaurant on Whidbey Island. “That was being young and dumb,” Lehnis said with a chuckle while sitting in his office. 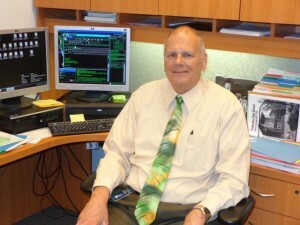 Dave Lehnis began his teaching career in his hometown of Danville, Ill. He ended up moving to Olympia and teaching at Saint Michael’s for six years before coming to Timberline to teach social studies. He also coached football and basketball. As a principal, Lehnis kept an open-door policy with his staff, always inviting input. “You can always go and talk with him,” Dean said. Lehnis, with his friendly, easy-going manner, has been a likeable boss. “He’s going to be greatly missed,” said Denise Kinley, a long-time secretary at Timberline. Six years ago, Lehnis’ eyesight had diminished to the point where had to quit driving. Three years ago at age 62, he considered retiring because of it. But with the same attitude he took when he didn’t see the pitch that drilled him when he was 16, Lehnis stuck to the job he’s enjoyed. He’s been an inspiration. Those moments of failure in sports taught him to gut out a problem – to get up and try again. 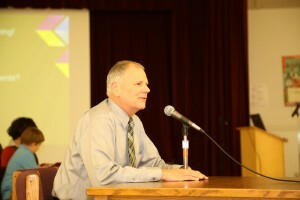 Dave Lehnis is retiring this year from Timberline High School. In Lehnis’ nearly 40 of education, there have been lots of changes. Today, there’s tweeting and texting and social media. The challenges of a teacher have changed, but Lehnis will remind his teachers of an old song about kids. While kids today have their cell phones to distract them, Lehnis remembers having his own distractions as a kid. He remembers writing notes to a girlfriend and writing out words to a Beatle’s song during class. As Lehnis reflects on his career in education, he said he has few regrets. He’s glad he followed the career he first wanted to do when he was a sophomore in high school. “I feel very fortunate,” he said.